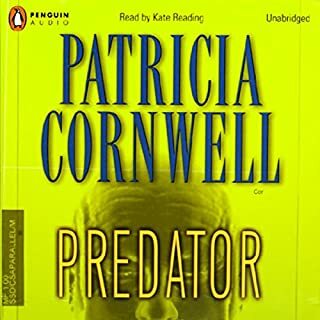 Dr. Kay Scarpetta, now freelancing with the National Forensic Academy in Florida, takes charge of a case that stretches from steamy Florida to snowbound Boston, one as unnerving as any she has ever faced. The teasing psychological clues lead Scarpetta and her team, Pete Marino, Benton Wesley, and Lucy Farinelli, to suspect that they are hunting someone with a cunning and malevolent mind whose secrets have kept them in the shadows, until now. What's next? Scarpetta kidnapped by aliens? The novel is made even worse by terrible research into the many technical areas which keep being brought into focus. Anyone who would have the slightest interest in the high-performance Harley Davidson description would know that 139,000 RPM is about 130,000 RPM higher than any motorcycle will rev. With Patricia’s help, Kate Reading’s rendition of male voices is not only ludicrous, the anger and irrationality expressed reaches the point of being sexist. Kate also has a lot of trouble with words having French origins. A furrier transform is where a mink coat is converted into a stole, not the mathematical operation named after Fourier. The word fuselage does not rhyme with mucilage. The many goofs and gaffes only add further to the impression that both author and narrator are greatly out of their depth. Any problem with Scott Sowers' narration may be a Blue State thing. I thought the narration was not just okay, but excellent, and it added to my enjoyment of the story. Sure, there are elements of the story that would be hard to believe in a purely rational context. However, we not only expect some playfulness with plausibility in fiction, we usually welcome it. Douglas Preston in no way abuses our hospitality. Harlan Coben, author of the coast-to-coast best seller No Second Chance, delivers an emotionally powerful thrill-ride of a novel that asks the question: How far would you go to protect your family? Just One Look? Or Just Two Listens? It is sad to see the marvelous craftsmanship of Harlan Coben and Carrington MacDuffy marred by shoddy transcription. 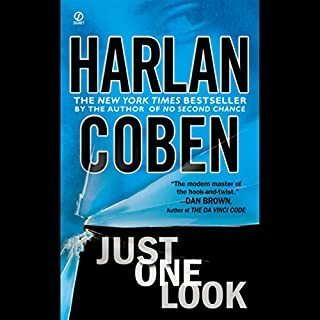 Be advised that most of the Audible recording of Just One Look has some other program, recorded backwards, running faintly in the background. Putting that aside, it is hard to imagine how Just One Look could be any better! 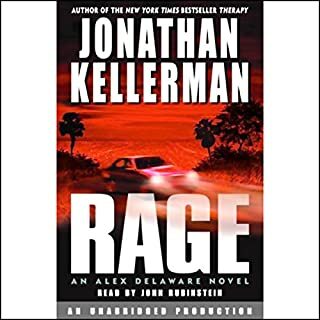 If I had remembered that Jonathan Kellerman was the author of The Murder Book, I would not have bought Rage. Unlike the former, I did manage to finish Rage, but just barely. The plot is indeed, as one reviewer noted, like a Gordian knot, although an obviously contrived and totally unbelievable one. At times, the filthy language becomes overwhelming, more so with John Rubinstein's nice job of narration. Even putting aside the despicable villain, the story has too many disgusting characters and not enough admirable ones. In spite of mild suspense as to how the bad(est) guy would be undone, by the later chapters I was fantasizing about a Tsunami hitting the California coast, washing the whole menagerie away, and bringing the story to a much deserved early ending. After enjoying Coben's No Second Chance, I decided to try some of his other works. In the first hour of The Innocent, there seemed to be nothing but wailing and whining about a tragic accident and the murder conviction that so unfairly had come of it. However, just as I was about to open the lid of the clinker bin, the author finished setting up, a plot materialized, and I was hooked. There are a few consistency goofs (even in New Jersey, a shotgun is not a rifle) but on the whole the story is well crafted. Characters, action, and description are nicely balanced. Scott Brick does his usual terrific job of reading. 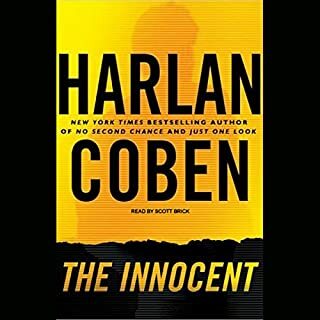 While some of the twists and turns were predictable, and others were a little implausible, The Innocent provides quite an enjoyable ride. To survive in a game with no rules at all, John Corey must invent a strategy that includes no luck at all. He signs on with the government's Anti-Terrorist Task Force in an attempt to stop an alleged Libyan terrorist known simply as "The Lion". The Lion has the instincts of a wild animal, the bloodlust of a carnivore, and the boldness and speed of a cat of prey. And now he's loose in America. Can John Corey stop him? Even when downloaded at the highest quality,"2", the audio quality of this novel is horrible, about the same as a wind-up gramaphone. I listened to less than five minutes before hanging up. Shame, shame Audible! 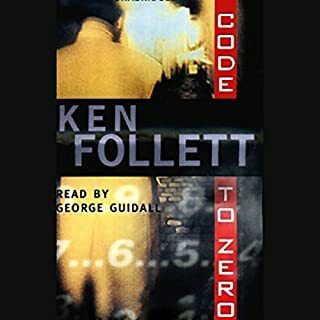 After listening to Ken Follett's Hornet Flight (excellent), I had high expectations for Code to Zero. Flashbacks--from WWII to 1958--and Flashtechs--from the story to 1958 vintage space technology--eventually merge into a somewhat coherent plot, but take far too long. The object of suspense should be how the story may turn, not whether the author is ever going to get his arms around it. And the story?when it does come together?keeps being broken apart by consistency goofs. After beginning the story waking up in Washington with amnesia, dressed like a vagrant with no trace of his identity, the hero eventually traces his way back to his home--where he pulls a key out of the pocket of his stolen clothes and opens the door. The Ford Fiesta, one of which the hero steals in 1958, didn't start production until 1976. Time machines and self-replicating pocket replicators shouldn't be needed for a historical novel to work. With good editing, Code to Zero could have become an engrossing yarn. However, it is simply too poorly crafted to approach that potential. Cavanaugh, a former member of Delta Force, is hired by a brilliant scientist named Prescott who needs protection from a drug lord seeking the highly addictive drug he has invented. At least that is what Cavanaugh is led to believe. 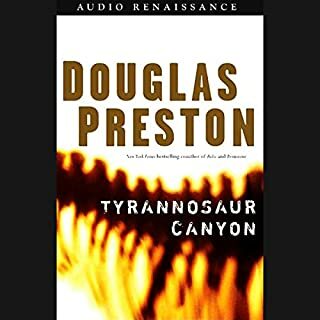 After Cavanaugh trains the scientist in escape and evasion, the unthinkable occurs: Cavanaugh's team is viciously attacked and entirely wiped out - and Prescott seems to be in collusion with the attackers. Excellent story, not a dull moment. 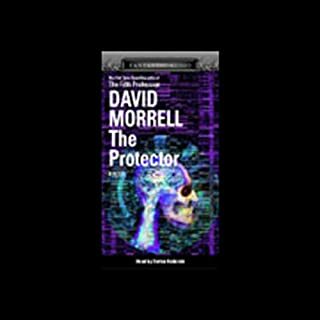 Although many listeners have written good reviews of The Protector--and I enjoy this general type of novel--I had to put this particular one in my clinker bin. While I admire Stephan Rudicki's speed of narration, perhaps these talents are better applied to conducting auctions. I tried listening to The Protector three times and on each occasion found myself losing interest, tuning it out, then turning it off. 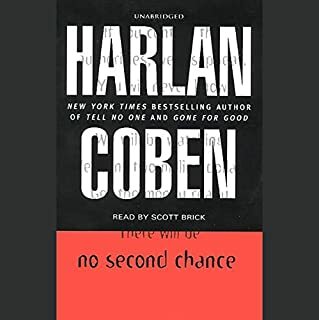 No Second Chance is one of the most enjoyable picks that I've had from Audible. It goes without saying that Scott Brick's narration is terrific. This story grabs the listener with the pathos of the sudden and terrible destruction of a man's life and doesn't let go until a re-birth that touches the heart. Be careful of a plot that not only has twists but hairpin turns. 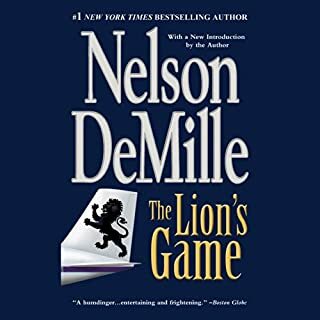 Shortly after Army lawyer Sean Drummond starts working for the Office of Special Projects, a CIA cell which handles the most dangerous threats, the White House Chief of Staff is found brutally murdered. A note left by the killer promises more victims, including the President. The President's Assassin--A Killer Read! 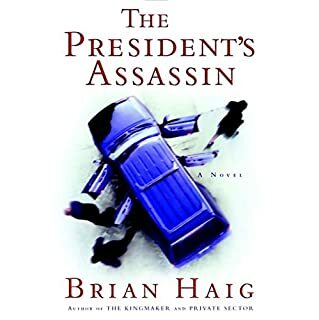 The President's Assassin is one of the more enjoyable picks that I've had from Audible. Scott Brick does his usual fine job of narration. While there seems to be a brief reference to events of another Haig novel--which I'm looking forward to reading--this one is entirely self-contained. Characters are nicely developed and there is adequate description, but the story is exciting, suspenseful, and moves briskly with no risk of boredom. The irreverent wit of the principal character/story teller will likely evoke a few chuckles. Start listening when you have plenty of time because you will have trouble stopping before the denouement!